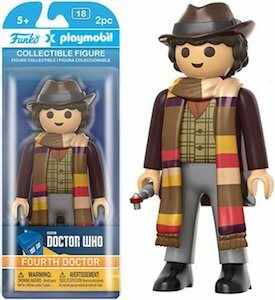 Now you can have a Doctor Who action figure that looks like a Playmobil figure. 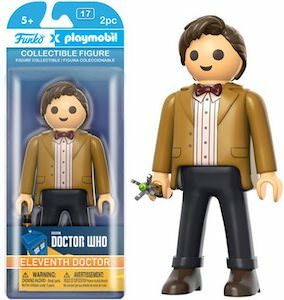 Yes, this is a 6-inch tall version of the 11th Doctor if the Doctor would be Playmobil. 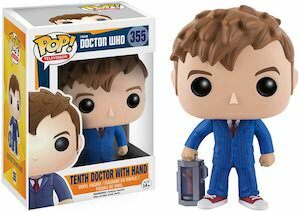 The action figure looks just like Doctor Who complete with his bow tie and Sonic Screwdriver and a happy smile. The action figure is made by the people of Funko and Playmobil and maybe taller than a regular Playmobil figure and that makes him so much more collectible and fun. And it is still a toy and it is rated ages 5 and up so that even adults are allowed to own them. 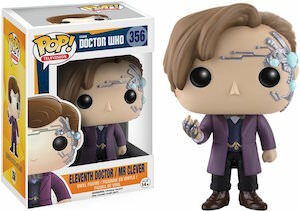 Now there is a Doctor Who figurine of Mr Clever or actually him and the 11th Doctor just like you have seen in Season 7. The figurine made by Funko in the Pop! series shows the 11th Doctor with some Cybermen details just like you have seen on TV. 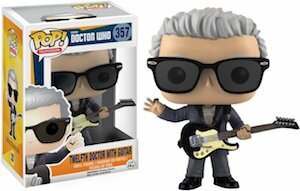 The figurine is unique and that makes it something you should add to your Doctor Who collection. Like most Pop! figurines this one too comes in a cool box with window so that you can keep him in new state. 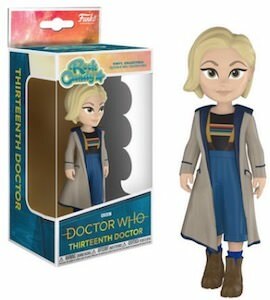 This is a 3 3/4 inch tall Rose Tyler figurine and it can be yours so that Rose can become your companion just like she was for the 9th and 10th Doctor. This Pop! 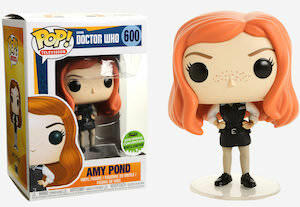 figurine by Funko is number 295 in the series and comes just like all the others in a nice windowed box so that you could choose to keep her in mint condition while still being able to see her. 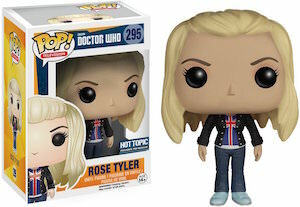 The figurine of Rose is blond and wears fun clothes just what you expect from Rose Tyler and owning this figure is just a great way to keep memories of the Doctor’s past near. Do you remember the robotic dog of Doctor Who? 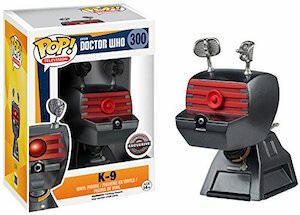 Of course you do and K-9 is just one of those Doctor Who memories you don’t want to forget and that is why this figurine of K-9 is just what you Doctor Who collection needs. 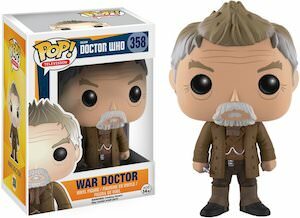 The K-9 figurine is number 300 in the Pop! Vinyl series from Funko and is one of more interesting looking characters. K-9 is 3 3/4 inch tall and comes in a nice window box so that you can choose to keep him in his box and in new shape or get the dog out and let it mingle with your other figurines.